It is with pleasure that I report the Game Changers/2013 publication, available at http://www.insightcrime.org/news-analysis/insight-crimes-game-changers-2013 of the foundation http://www.insightcrime.org based in Washington that takes care of drow and analyze the evolution of crime organized in the Americas. I also recommend a visit to their site which over time has been a positive trend with more and more updates on time and certainly also valid from the forensic point of view. Obviously we are talking about an area heavily permeated by the activities of organized crime related to drug trafficking mainly cocaine, heroin and marijuana, but that does not disdain at all to dedicate to any other illegal activity that allows the acquisition of capital, especially kidnappings and extortion. This e-book downloaded from the website of Insightcrime provides a sharable vision as in line with my my own research and analysis carried out during the year that we have just left behind. 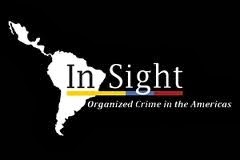 For readers I will give a brief summary of the essential facts have emerged in the course of 2013, innervation to the activities of organized crime in the Americas. First of all, among other things rightly highlighted, I would place particular focus on the increased of drug use within the states of Latin America, to the evolution of the various processes of mediation among the most important criminal organizations and governments and between organizations themselves, and finally the failure of the three states El Salvador, Honduras and Guatemala, which are also referred to as the Triangle of North America. 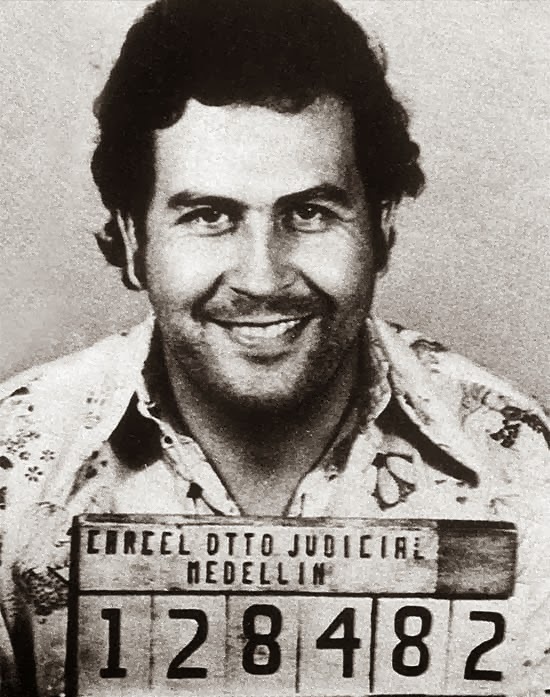 The increase in the of drug use inside producer and transit states, as well as in Brazil and Argentina, is another serious threat to any process of emancipation the states put into the field to counter a variety of factors including, among others, the 'increase in petty crime, the increase of internal pressure to various criminal organizations for the control of different territories also material consumption and also a matter of medical nature having somehow also provide care for addicts. The ongoing peace process between the government and the criminal organizations and between the organizations themselves are all aimed, as far as the governments involved, to lower the rate of homicides and violence in general in order to provide both a response to the respective populations in terms of internal security, and foreign powers who have or who would like to have business interests in site. In particular, should certainly be reported on the ongoing peace process in Colombia, upon which President Juan Manuel Santos has focused immediately, from the moment of his election in 2010, seeking an agreement with the FARC to put an end to fifty 'years of civil war in the country. The peace process was initiated in 2012 in Norway and now continues to Cuba, unfortunately without any major results, in these days the FARC, demonstrating a positive intention, declared a unilateral ceasefire. These are still the richest insurgent group in business thanks to the trafficking of cocaine, marijuana and heroin. The estimates, also reported by Insightcrime speak of 8,000 armed men in rural areas and 30,000 in staff that would cost about $ 200 million per year. On the other hand should not be unsaid that in Colombia this is just one of the problems, the Cartel of the Urabenos, once dominant only in the countryside, now also controls a portion of Medellin snatching territory at what remains of the Oficina de Envigado, born from the ashes of Medellin Cartel founded by Pablo Escobar killed in the city exactly 20 years ago. La Oficina de Envigado, far from being a cohesive criminal reality, is composed of a plethora of small / medium gangs, the 120 Combos or street gangs. The Oficine de Cobro, by definition, control part of the urban area and have their own recycling facilities and assassins. Even between these two major criminal organizations is an ongoing mediation to reach a truce, but should this occur, it would only be in order to enhance the illicit business putting even at greater risk the tightness of the government organizations that could hardly cope with the threat of a 'renewed wave of corruption generated by the corruptive and intimidating power of the most powerful cartels. 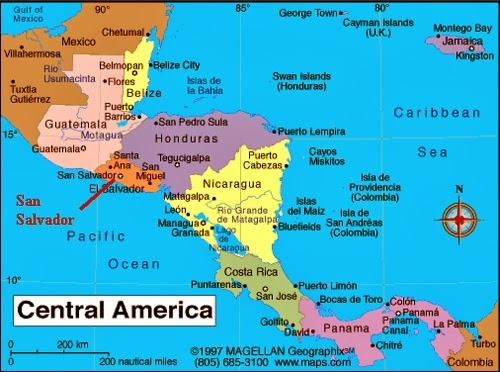 Finally, the issue of the three states that make up the Triangle North, El Salvador, Guatemala and Honduras. In fact it is really difficult to be able to assert here that the government authorities are in control of their territories, quite the contrary they themselves are strongly permeated by organized crime, given the availability of huge capital, is able to corrupt even the highest level of management and to use financial structures certainly prepared to operate the illegal capitals without much hesitation in countries where domestic products are not in good health. In short, a number of factors suggest that for the foreseeable future, the entire area will be subject to high stresses generated by the balances that criminal organizations will be able to reach from time to time in the reports with their respective governments and between them. That assessment is also valid for Mexico still constantly looking for a solution to the problem, "the war between cartels," which among other things has seen, over the past year, the final appearance of a third actor, in addition to the federal government and great cartels, particularly the Zetas and the Sinaloa Federation, the self-Defense Forces. In most of the 31 Mexican states, but of course in those where the violence of the narco war is strongest, are born of the organizations of private citizens who organized themselves in defense structures. t 'clear that the frustration of the community, especially the most isolated and small has played a certain role in the development of this phenomenon, that however, interesting urban centers too.. The state does not guarantee security, and then it is clear that ila population organizes itself against the growing power of organized crime that in which a substantial portion of Mexican territory is the law. However, this situation creates a number of additional issues, first thing in the legitimacy of these organizations of self-defense that the various local governments manage independently not in coordination with the federal government and then, and perhaps most importantly, the actual reliability of these citizens' organizations . In Mexico this is not a new phenomenon at all, have always existed in the communities, especially in rural areas, forms of private security, and often these have been transformed into criminal gangs worsening an already critical situation. In recent months, in the state of Michoacan is being a real offensive of the Mexican Navy always called in police duties, and of the feds against Templar Knights, a real criminal organization, which claims improperly the role of self-defense force, born from the ashes of one of the great cartels of the Mexican narcos, the Family Michoacana. 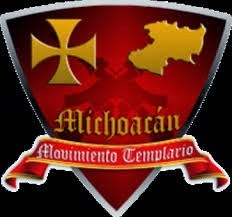 The Knights Templar, and here you could certainly open the whole discourse on a specific choice of this name, are drug traffickers who claim to have no other choice to protect the michoacana population from the activities of other drug cartels. It is certainly clear that in Central and Latin America, the situation is extremely fragmented and confusing. However, every effort must be made to understand the effects that alter the balance stemming from the non-aggression agreements and truces, from changes in the routes of narcotics, from the responses of individual governments, will create the international traffic of cocaine, and more recently, methamphetamine of which Mexico is now one of the leading manufacturers in the world, because these effects will also impact on behavior and thus on the activities of criminal organizations homegrown. What happens today elsewhere, tomorrow will affect, willingly or unwillingly, me too.